In 1975, Steve started making molds for the ceramic hobby industry. The molds were mainly for planters and utilitarian items. They were called Curio Molds. It was his mother who gave Steve an inspiration for his turning point to doll world. One day she brought one China doll to him and asked him to make a mold from it. He did, of course, it is his mother. he could use her doll as a sample at ceramic shows. He hesitated but agreed.."who would buy a mold for a doll?" it did not take long however for the doll ladies to start wanting doll molds from him. Mystic Molds was founded in 1989 after Steve sold Curio Molds. 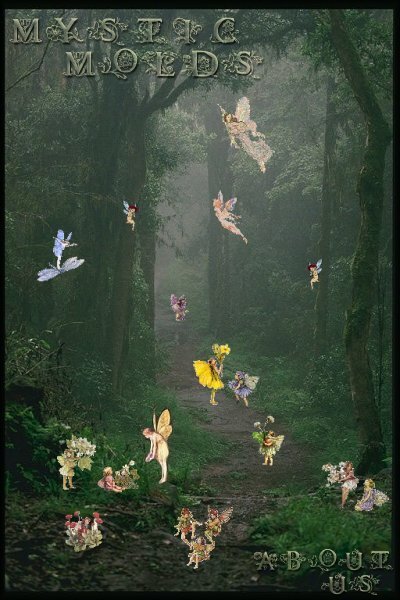 fairies and fairy tale characters. Gwen Ross joined Steve around 1990 and they started Mystic Molds together. She was a very talented artist with a great love of dolls. She was a great sculptress with a fairy heart. for beautiful and unusual dolls and porcelain related items. Gwen passed away after a long bout with cancer in 2002.
from his collection of antique dolls. and the ownership switched to her in 2009.
is one of her favorite hobbies. Judge's Choice Awards and awards in other international competitions. Recently the company moved the business location to Sulphur Springs TX. one of a kind type service and products. will promise to show our commitment to the porcelain doll makers and the hobby.